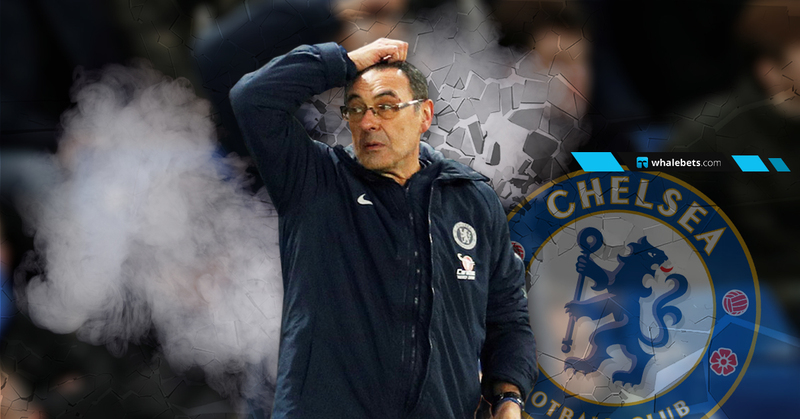 Home » Blog » Is there a way back for Maurizio Sarri in Chelsea? Is there a way back for Maurizio Sarri in Chelsea? After yet another disappointing defeat at the hands of Everton, Sarri’s position at Chelsea is again under big threat. How come it came to point where the Italian lost the dressing room, the backing of his own fans and the playing system is apparently simply not working. The so called “Sarri ball” came to crashing defeat and the heavy defeat against Manchester City was one of the lowest points Chelsea felled under the Roman Abramovich era. The owner have past experience in not committing to the under pressure managers and it’s up to be seen whether the Italian will keep his job after the International break. Can we see Gianfranco Zola finishing the season and sitting all by himself at the dugout against Cardiff in the next Premierleague match. Not everything is lost for Chelsea though, the Blues are still in the Europa League and will face Slavia Prague at the ¼-Finals with prospect of reaching Semi Finals. In the league the 3 points deficit to 4th placed Arsenal is a small margin which can be overturn. But will Sarri still be in charge, it’s interesting to be seen? Chelsea forward Pedro has opened up about the difficulties of playing under Maurizio Sarri and addressed the rumors of a player revolt after the humiliating defeat to Manchester City. “All the team follows the idea of Maurizio: press really high, stay compact, and to create chances. With good possession, a lot of the ball. We can do this as a team,” Pedro explained, as per The Independent.” But sometimes it’s so difficult to play in this way. It depends upon the opponents. City played very well, so it was so difficult to press, to create between the lines and to defend.” But it’s Maurizio’s idea, and I prefer to press high when we recover the ball to create chances, not to wait for 90 minutes to recover the ball and run 60 meters to score the goal. The bigger picture for Chelsea is beyond this season. Regardless of the fact whether the Blues are going to qualify for the UEFA Champions League – via the league or via Europa League, Chelsea must reconsider their transfer policy. Having said that, no manager before Sarri stamped his authority on deals and Chelsea loaned too many players that could have been handful for them. The fact that the FA changed the rules for loaning players because of Chelsea speaks its own story. With transfer ban about to come in and the likes of Hazard, William and Hudson-Odoi wanting out, the bigger battle and important decisions must be taken by the Blues hierarchy sooner or later. For the latest news, analyses and coverage, don’t forget to follow our latest blog posts.